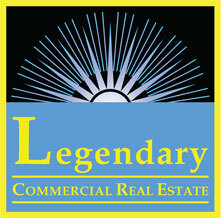 Legendary Commercial R. E. has been selected as a Tenant rep by the largest National Day Care Tenant in the country, to assist them in seeking locations throughout Orange County. This national Day Care School is seeking 8,000 to 10,000 sq. 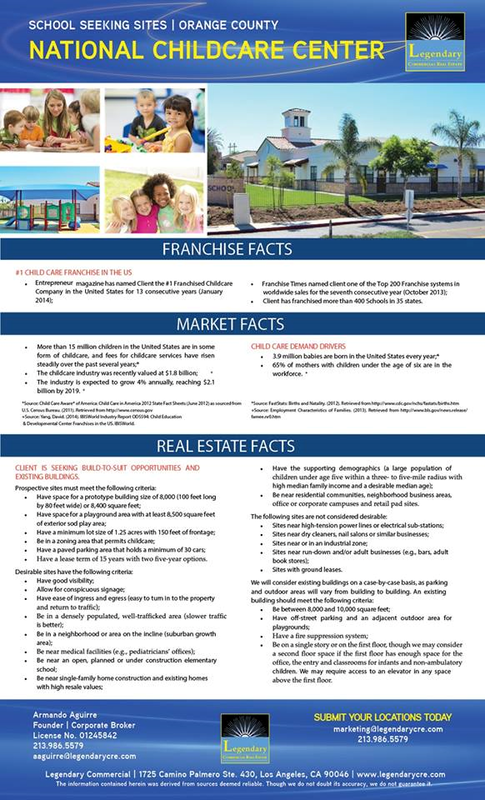 ft. of existing retail or freestanding space with room for an outdoor Play area, in neighborhoods with $80,000 to $100,000 of Average Household Income. They will lease or consider Build To Suit opportunities by Owners of sites that are 1 to 1.25 acres.